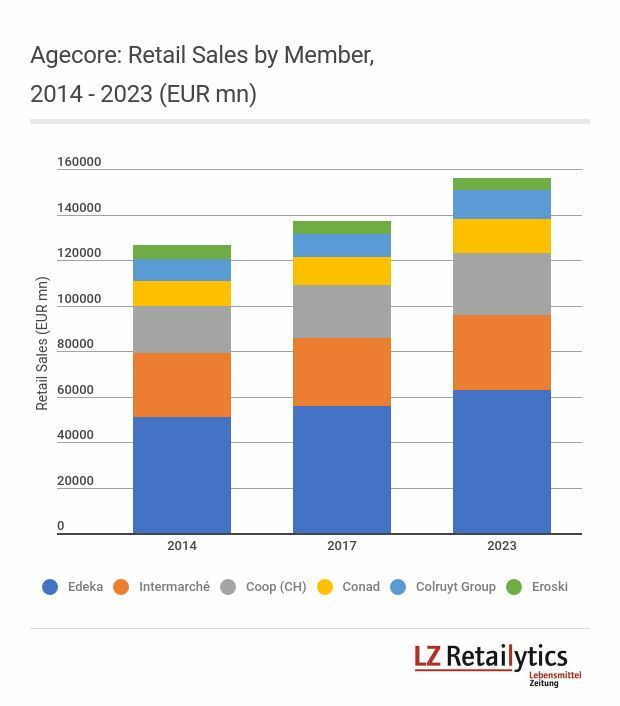 Edeka is the largest Agecore member in terms of sales and also one of the key drivers of this move. In an attempt to achieve better buying conditions, buying group Agecore considers delisting 160 items from Nestlé, Lebensmittel Zeitung reports quoting anonymous sources. Agecore is said to promise an increased amount of more effective campaigns across Europe in exchange for improved conditions. Agecore is composed of German Edeka, Italian Conad, French Intermarché, Spanish Eroski, Swiss Coop and Belgian Colruyt Group. For a couple of days already, the retail members of the alliance have drastically reduced the orders they placed at the manufacturer. It is said to affect products like Bübchen, Nescafé, Wagner Pizza, Thomy condiments, Maggi products and mineral waters. Swiss retailer Coop has confirmed it suspended orders for certain products. The Nestlé Agecore story is one of many. It follows similar recent confrontations of the buying alliance with manufacturers AB InBev and Mars. The news comes at a time when an increasing number of grocery retailers merge, create joint ventures and make acquisitions to grow and create new synergies. This is a contribution to an ongoing phase of consolidation in the European market; and at the same time, it is also the reaction to this very same development. 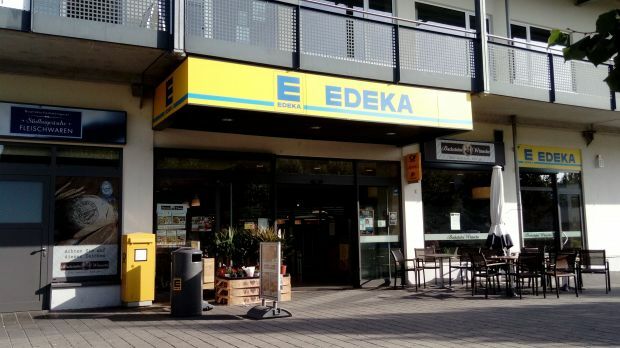 Just to name some recent examples: Feneberg is moving closer to Edeka, Coop and Wasgau to Rewe Group. Budnikowsky now co-operates with Edeka, Metro with Auchan, Migros with Alnatura. Spanish retailer Dia is partnering with several retailers like Intermarché, Eroski and Casino. And then there is the merger of this retail decade: Ahold and Delhaize Group. All these moves are to increase pressure on suppliers and it is set that the situation will get worse. Only recently, fellow Agecore-member Colruyt delisted Lay’s crisps and Tropicana due to a price dispute with PepsiCo. One of the backgrounds for this move is said to be a more intense price negotiation caused by the merger of Ahold and Delhaize in Colruyt’s major market. Reportedly, the new entity compared prices in the Netherlands, where Ahold is clear market leader, to prices in Belgium articulating new demands. As a result, price aggressive Colruyt came under pressure leading in the end to a delisting of certain items. The Colruyt example shows the effect of an increased comparability and transparency of buying conditions across markets. The increasing pace of rotation within the industry's top management may also be a contributor. As part of the negotiations, Agecore's head, Gianluigi Ferrari, is using the fact that rival buying groups like Coopernic are likely to have better conditions, Lebensmittel Zeitung reports quoting anonymous sources. Most certainly, Ferrari may have brought this intuition from his seven years of experience at Coopernic. It will be interesting to see who will be the first to back down. Nestlé might be the world's largest company in the food industry and thus it cannot be missed on retailers' shelves too long. However, Agecore consists of crucial clients, some of them are even leaders in terms of sales in their respective markets. If Nestlé was the one to give in, this might, however, be a success for Agecore exemplary enough to make future deals with the alliance even more aggressive. A fear that, according to Lebensmittel Zeitung, several Nestlé suppliers currently share.